Let me take you back to a time when my mother was just four years old. Her favourite things to do were carving pictures into rocks and riding her pet dinosaur (juuust kidding, sorry Mum if you ever read this). The year was 1968 and a redbrick house in Sydney’s Sylvania Heights was home to Robyn, her parents, and her 4 siblings, as well as a tortoise, several ducks and even more chickens. Enter the front door of the redbrick house and head towards the back of the home, and you’d come to what Robyn refers to as the sitting room. In that sitting room, all the furniture pointed towards a teak-coloured (apparently teak is a colour, who knew?) television which stood on four long legs. 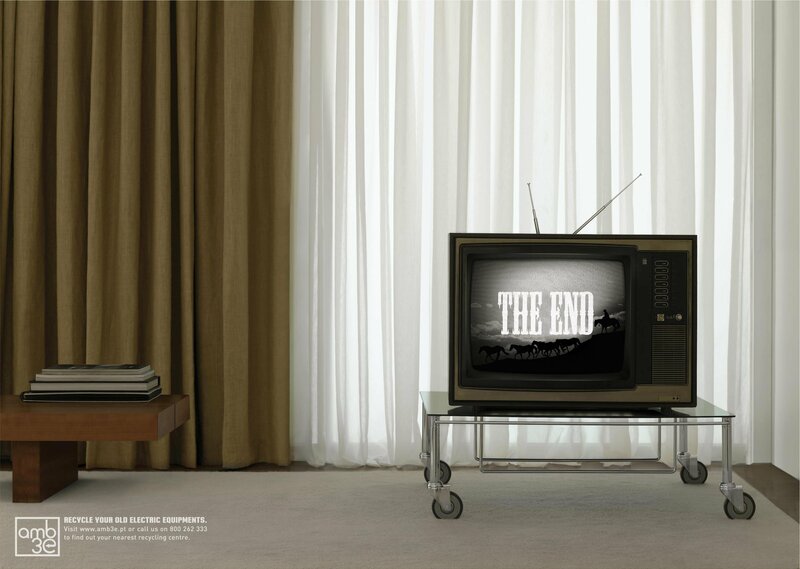 Switch on the TV and you’d be presented with four channels all shown in vivid black and white. To choose between these channels, you would press a long button which would flick between channels – if you miss the channel you want you have to go all the way through the channels again. It’s crazy to consider how far technology has come in a relatively short amount of time in the scheme of things. Being of an age where I was born into a world that was already immersed in the television culture, it is quite difficult to imagine what life was like back then – life without colour television, let alone Blu-ray discs and 3D viewing. In an attempt to understand and appreciate these earlier times, I spoke to my mother about her memories of the television as a child and how much she has seen technology change. Amongst the countless “I’m 52, how do you expect me to remember!” statements, a real insight into my mother’s life as a child arose. A fond memory that Robyn recalls was noticing that every day, without fail, her mother would stop whatever she was doing at 1pm to ensure that she didn’t miss a second of Days of our Lives or The Young and the Restless. But this is what every housewife did apparently; similarly, due to the lack of variety in the shows, every single person watched the same shows, which definitely meant there were opportunities to talk about them outside of TV hours. Robyn speaks of her Grandma who saw the actors on The Days of Our Lives as real people – she was so invested in and connected to the characters that she spoke of them as if she knew them (by the way, thanks The Young and the Restless for the inspiration to my mother to name me the very original and creative name of Ashleigh 😐 ). The television was not the main focus of the house back then like it is now. Robyn, who started out with one tiny black and white television, now has eight set up in her house. When asked if she preferred the television culture back then or now, Robyn answered “well I don’t want to talk to you guys all the time, so yeah I like that we can all watch TV separately”. Naw thanks Mum ❤ lovely to hear about your childhood. Facebook — the happy place in cyberspace we all go to connect with our friends, right? Maybe not. Facebook is becoming more and more of a brag-fest, where people go to construct an online social profile which highlights the amount of friends they have, all the fun stuff they do, and how good they are at picking the best selfie and filter they’ve taken out of 367 attempts. According to research, being exposed to so much personal information which portrays a person in the best possible light can lead to feelings of envy and low social value, which may actually lead to symptoms of depression. Scary right? Something you probably use multiple times a day, might actually be having a negative impact on your mood. So, for my group assignment, we are researching this phenomenon of Facebook and it’s emotional impacts, and we hypothesize that Facebook may indeed have a negative impact on one’s emotions. To test our hypothesis, I conducted an interview with Stephanie — a use-facebook-multiple-times-a-day-out-of-boredom type of girl, to find out how Facebook effects her mood. The questions I asked Stephanie are a combination of questions from my group questionnaire and also some improvisation questions that arose after hearing Steph’s answers to previous questions. What do you usually do when you are on Facebook? I usually just scroll through my newsfeed and read things that stand out to me. I follow a lot of news pages on Facebook so I guess for me it’s like reading a newspaper. How do you expect Facebook use to make you feel? I expect to feel informed and connected. I expect to be up to date with what my friend’s are doing and what’s going on in the world. How do you actually feel after using Facebook? What do you least like seeing on Facebook? I really hate seeing relationship stuff- like couples who post love hearts and lame messages to each other, it’s like just say it to each others face or over a message. I feel like yes Facebook is a personal place to like share your life, but there’s definitely a limit of how personal you go. What makes you keep using Facebook? I think it’s that feeling of ‘oh no what am i missing out on’ if I don’t log on. It’s usually the day that you don’t log on that something huge happens – your friend gets engaged or there is a massive Facebook fight that got deleted after a few hours so you didn’t get to read it [laughs]. But yeah, just that excluded feeling. A few of my friends don’t have Facebook, and often they’ll miss out on events, purely because people just assume they will see the event on Facebook and come along, but they don’t. This interview was definitely informative of the type of answers I think my group will receive in our survey, however, this interview was much more open-ended and there was a lot more room for Steph to explain her answers than there would be in a survey. So, I am a little worried that we won’t receive in-depth data from our survey. Regardless, it was interesting to know that someone else feels the same about Facebook that I do, since the answers Steph provided are pretty similar to how I would answer if I was to be interviewed. Bring on Assessment 2!